In Space We Brawl is a frantic couch twin-stick shooter in which you challenge friends in fast-paced space battles for up to 4 players. 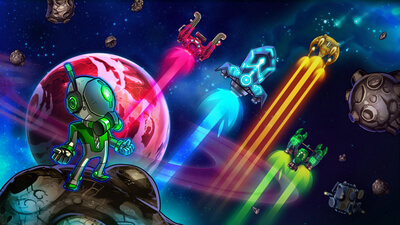 Choose a spaceship and a weapon: there are more than 240 available combinations! Will you humiliate your friends with a fast ship? Or will you choose shields and armor instead? Prove your skill with laser cannons and plasma swords, flame launchers, guided missiles... Don't be afraid to experiment! With its single player missions, the Academy will turn you into a true ace. 8 different areas of the galaxy await, each with its own dangers: black holes, exploding asteroids, even alien nests! 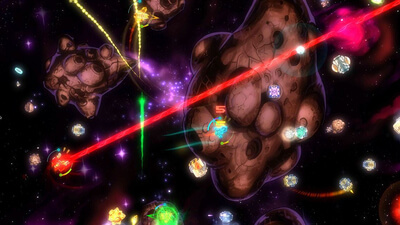 The local multiplayer of In Space We Brawl is both exciting and unforgiving. Play in a free for all or in teams, you can even put a bounty on your rivals' heads! Are you ready to brawl? In Space We Brawl attempts to give players a reason to meet up and play together again, but risks causing a divide in friendships if anyone has to play it for more than 5 minutes. 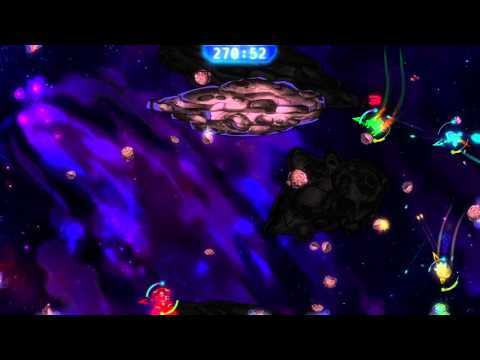 In Space We Brawl lacks variety, presents horribly cluttered arenas, and doesn't feel rewarding in the slightest.